In these weeks leading up to Remembrance Sunday, my thoughts turned to some research I first undertook in 2011 around baby names. In particular the commemoration aspect behind some name choices, especially in times of conflict. Name choices which went beyond bestowing a “conventional” Christian name on a baby in honour of, or affection for, a relative or friend, living or dead. 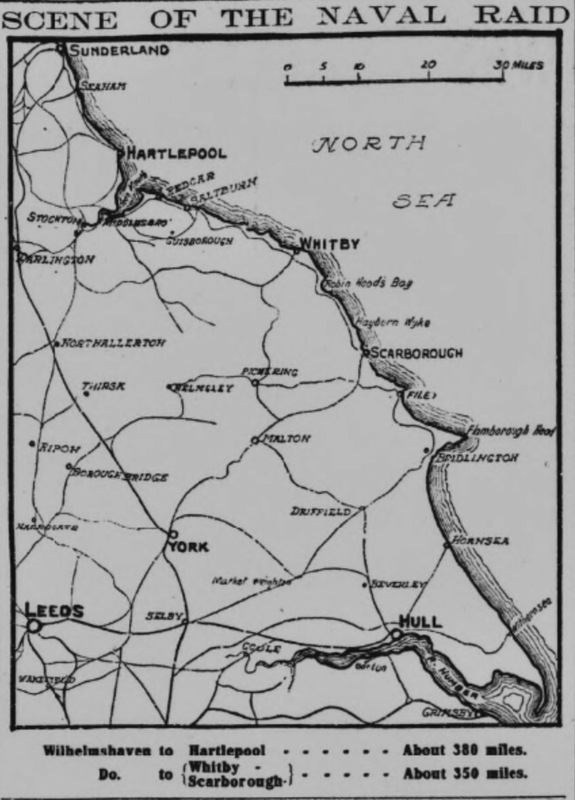 Unusually this train of thought was prompted by the 16 December 1914 German naval bombardment of Hartlepool, Scarborough and Whitby. This had an unexpected impact on my West Yorkshire family history. In the course of researching this event I discovered a snippet in the “Batley News” of 9 January 1915 which captured my attention. It recorded the birth of a baby girl in Hartlepool. Her unusual name commemorated the momentous events occurring locally and wider afield at the time of her birth: Shelletta Louvain. 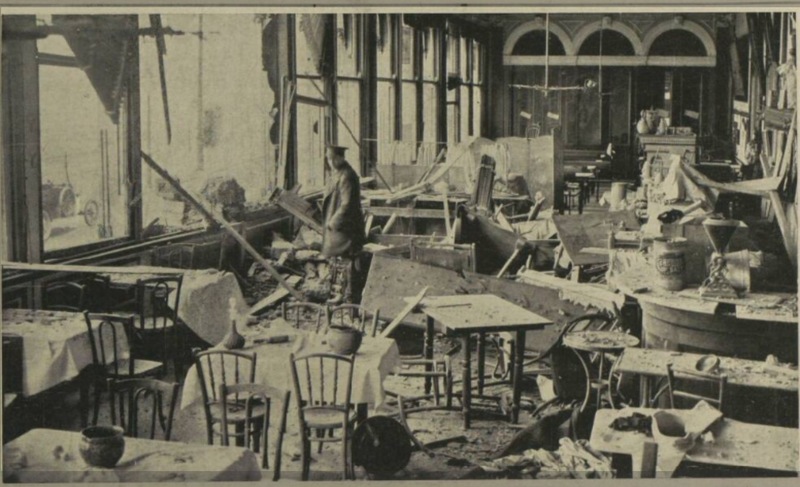 Shelletta is clearly a reference to the events in Hartlepool; Louvain is presumably a mark of respect and signifying a shared experience with Belgian city of Louvain destroyed by the German Army in August 1914. GRO records show the birth of a “Shelletta L Liddle” in the Hartlepool Registration District in Q1 of 1915. 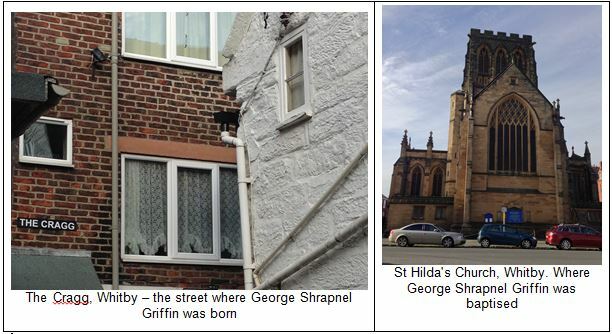 The same paper recorded a Whitby child born during the bombardment of that town, named George Shrapnel Griffin. Other papers quipped if the child had been a girl they could have christened her Shrapnelly. George was, according to the “Whitby Gazette” born at the precise moment the first shell burst over the town! His birth elicited a letter to the family containing the King’s best wishes. 1 = I have taken the total from FreeBMD, unadjusted for duplicates. 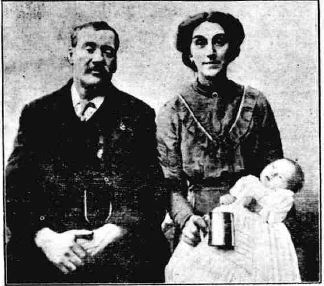 3 = Some of the children named Delville had middle names starting with the initial “W” which may possibly have been for “Wood”, one child in 1918 had the Christian name “Delvillewood”. 4 = Includes Joffrena, Joffrene, Joffreen, Joffrench, Joffree, Joffrein and Joffrey. 5 = Battle was called Neuve-Chapelle. Four out of the six children had middle names starting with the letter C.
I discovered a sprinkling of children named Belgium and France and even a Poperinghe if I widened my search dates to 1920. So there is a mixture of battle, personality and event associated names. Verdun, more usually linked with French losses, is surprisingly an overwhelmingly popular choice for both male and female babies. Dorrien, in honour of General Smith-Dorrien and a name I did not analyse in detail, proved popular in the early part of the war. There will be far more examples. And my search does not include middle names, such as the one given to baby George Griffin. Incidentally no child was given the Christian name of Shrapnel, in my FreeBMD search. No major surprise, but the registration quarters for these war-linked names mainly coincide with the dates of the various battles/events. For example the children named Antwerp were registered in Q4 1914, and Q1 and Q2 of 1915. This is consistent with the early October 1914 timing of the Defence of Antwerp by the British Royal Naval Division and Rawlinson’s IV Corps. 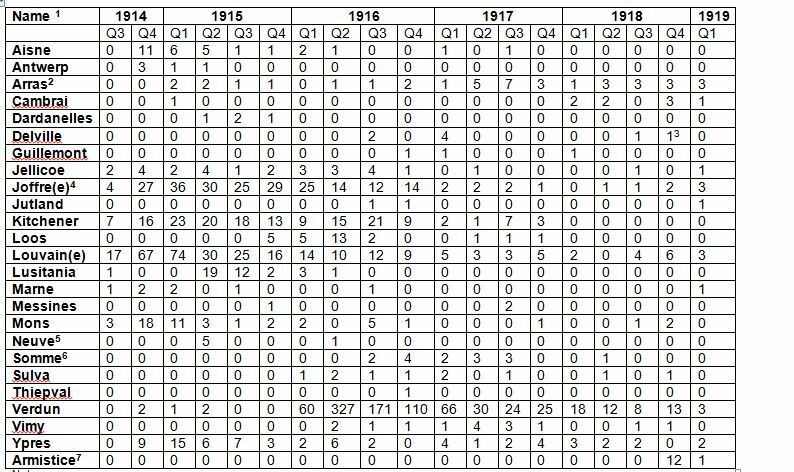 And Q2 1915 was the peak quarter for the registration of children named Luisitania, coinciding with the sinking of that ship on 7 May 1915. It would be interesting to investigate if the Registration Districts in which these events were recorded correspond with the areas where the various battalions fought, especially pre-1917 when they had a more “local” affinity. Also to know why parents chose these names for their children: Was it patriotism? Defiance? Or was it to commemorate a significant event at the time of the child’s birth, as in the case of Shelletta and George Shrapnel? Was it in honour and remembrance of the battle in which a husband or family member lost their life? Or more generally in recognition of where a husband fought? And did these names prove, as suggested in the “Wells Journal“, a burden in later life? Incidentally the explanation for George’s name, as indicated in the “Whitby Gazette“, was: “George, after that of the King, in whose glorious reign England is rendering her greatest of many services to humanity by crushing Prussian militarism, and Shrapnel, as commemorating the German attack on our undefended town, so dear to all Yorkshire folk, and so famous in its history“. Sadly George never survived infancy to find out whether his name was to prove a burden or otherwise. 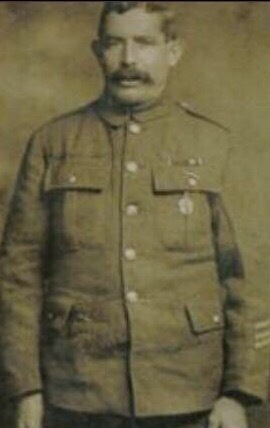 According to the same newspaper he died on 23 May 1915. Going back even further to the Crimean War, Inkerman first made an appearance in 1855 and also in subsequent years, proving extremely popular. Crimea, Balaclava and even a Sevastopol occur in the GRO indexes. So baby names can provide a link to historical events at the time of birth, and another research angle. If anyone has any of these names, or names of similar war-related origins, I would love to know!